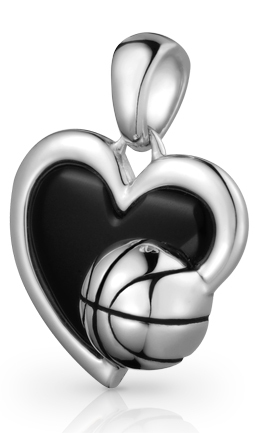 The Love Basketball Pendant is a fun way for you to show to the world your love for Basketball. The Love Basketball Pendant is 925 silver. Black grooves give the basketball its detail. The center of the heart is black onyx.